Arctic Monkeys Fans Pleased Next UK Storm Will Be "Brian"
Storm Aileen has hit the UK with high winds across the UK over the past 24 hours and a yellow weather warning issued for parts of Northern Ireland, Northern England and Southern Scotland today (13 September). 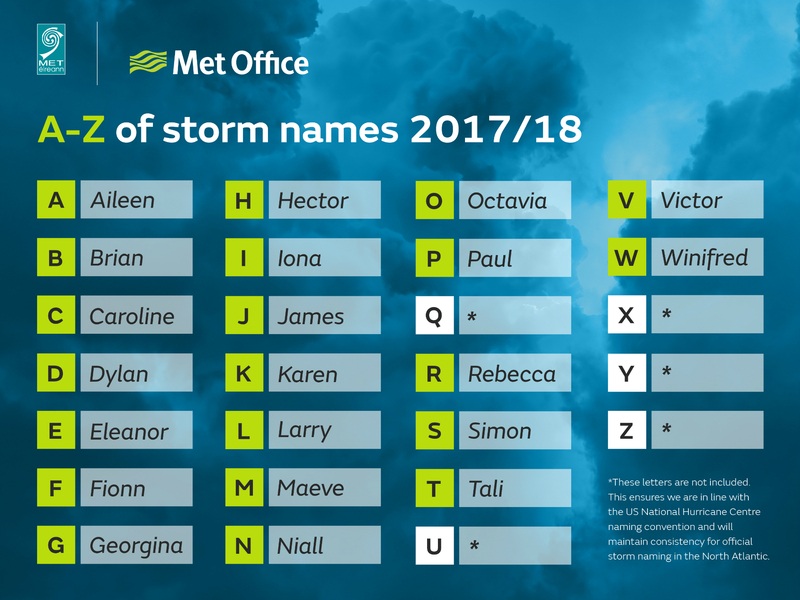 The name Aileen was revealed last week by the Met Office who unveiled the A-Z of storm names for the 2017/18 season… and B has already caused some comment from music fans. The gender of the names alternates between female and male, which means that B will be a chap’s moniker… and guess what it is? Why is this of interest to indie fans, you ask? Well, because of this, of course. Arctic Monkeys fans were quick to pick up on this fact, as Twitter demonstrates. Next storm to come to England is called Brian storm, amazing. The names for the next year have once again been compiled using suggestions submitted by the public. As in previous years, Q, U, X, Y and Z will not be used to comply with international storm naming conventions.